But how do you share that understanding and belief with senior management? How do you get your whole team on board with Digital Asset Management? Convincing management to buy into a Digital Asset Management System is often one of the biggest challenges for departmental managers on the front line, in organisations of all sizes. But it can be even harder to convince the people who hold the money - the financial directors and accounts department. They are the ones who probably won't be using a DAM system anywhere near as much as the rest of the team, and so may struggle to recognise the value. What you need is a solid business case for Digital Asset Management, one that emphasises efficiencies, savings, and cost effectiveness. Our white paper can help you build that case. We've put together the five main benefits that a DAM System can bring to your organisation. The five key points that senior management can identify with and understand. The five ways to make your case for DAM. Each benefit is explained in detail, with scenarios to help you back up your case to upgrade your processes and enhance your operations with Digital Asset Management. 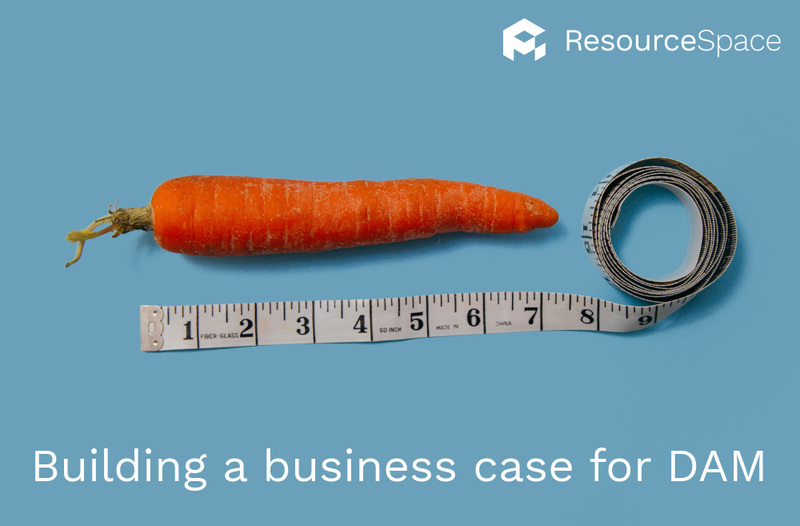 How to build a solid business case that will convince senior management of the need to switch to Digital Asset Management.